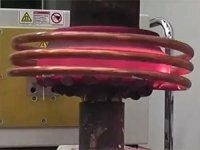 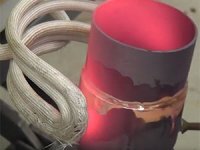 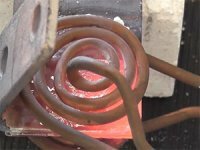 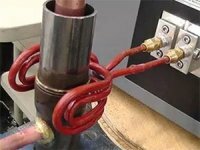 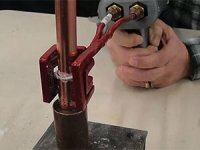 Induction brazing is the joining of two or more metals with induction heating, using electromagnetic fields to provide heat without contact or flame. 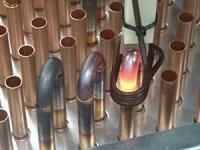 Induction brazing is more localized, repeatable and easier to automate compared to traditional torch brazing. 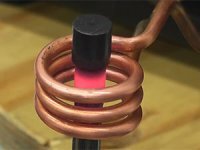 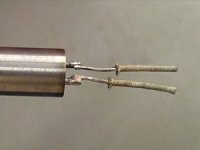 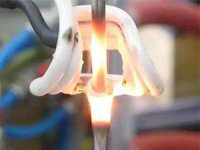 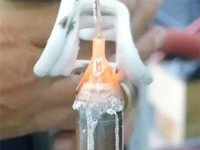 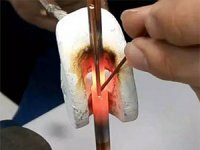 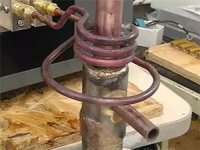 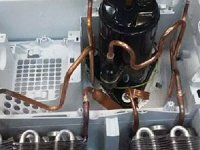 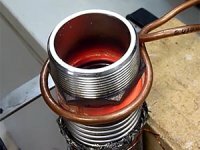 How to perform a successful induction brazing procedure? 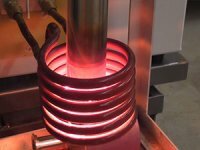 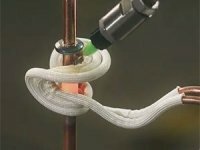 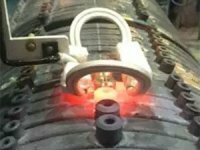 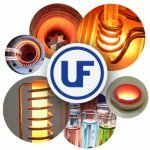 Do it fast, safely and easily with UltraFlex induction heating systems! 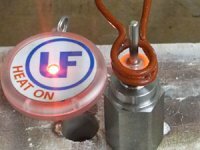 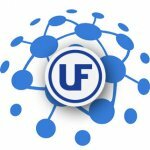 Our team of engineers at UltraFlex is here to give you essential tips that can help you achieve a precise induction brazing process. 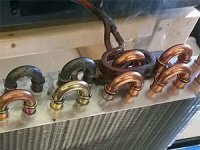 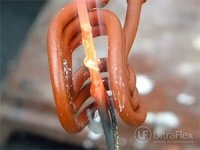 UltraFlex provides the heating in the brazing process. 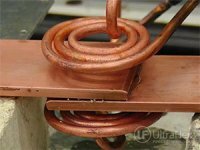 The alloy is spread over the surface of the base metal. 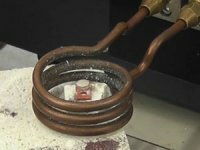 The base metal is heated by induction in a selected area until the alloy melts down. 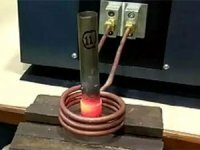 The base metal and the alloy react (mutual diffusion, formation of a new alloy). 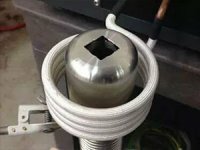 The new alloy in the place of the joint is cooled and crystallized. 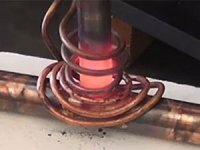 TIP: The area to be brazed should be preheated until the temperature of melting of the alloy is reached. 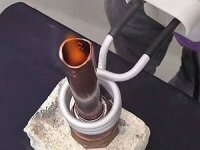 Otherwise, the alloy will crystallize very quickly, and the process of diffusion will not be accomplished. 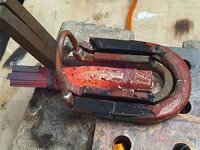 If you don`t do that, you will end up with a weak joint. 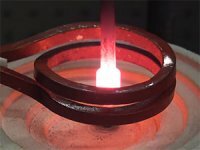 When you want to braze two workpieces together, you should first consider their shape, metal type and surface. 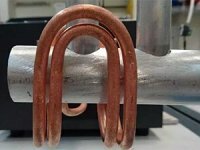 To choose a suitable alloy and flux, seek advice from the manufacturer. 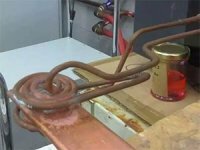 Any oil, grease, rust or scrap will form a barrier. 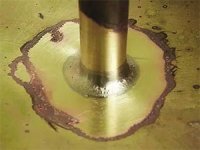 Make sure to clean the workpieces properly. 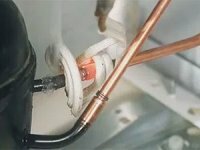 Oil and grease should be cleaned first. 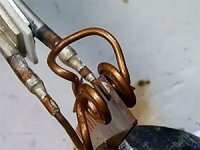 Then you can remove the rust. 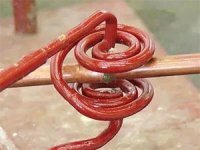 Cleaning can be done by using a wire brush, degreasing solvent, water or steam. 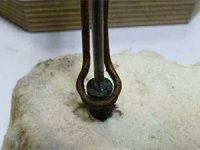 If the surfaces are oxidized, you can also clean them mechanically. 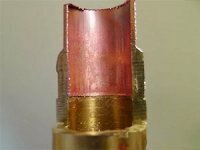 The usual clearance (distance) for most filler metals ranges between 0.001 to 0.005 inches (0.0254 mm to 0.127 mm). 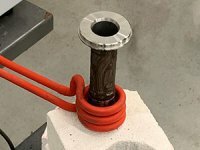 If the clearance is increased, the joint strength will decrease. 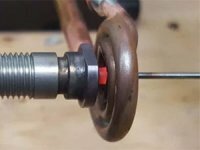 The amount of alloy is determined by the clearance gap. 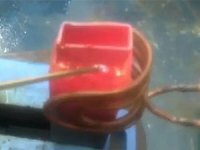 It must be enough to fill the void with a very small amount of it left outside. 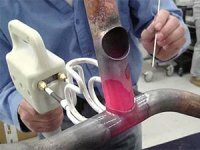 TIP: Choose a flux formulated for the specific metals, temperatures and conditions of your brazing application. 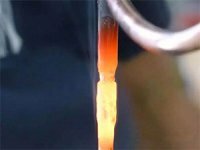 Fluxes are extremely aggressive and should always be cleaned when you finish brazing. 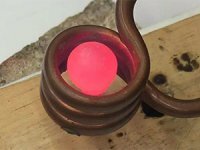 Otherwise, the metal will corrode. 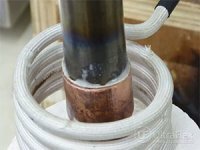 For successful brazing, the melted alloy should entirely wet the surface of the base metal. 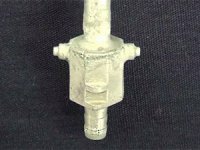 Flux also aids wetting of the base metal with alloy. 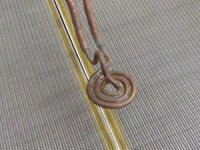 When your pieces are cleaned and fluxed, you should find the perfect alignment. 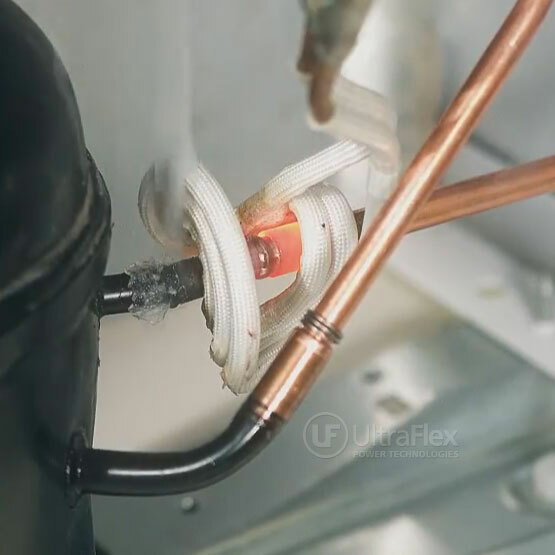 To hold them together, UltraFlex offers specifically designed brazing fixtures. 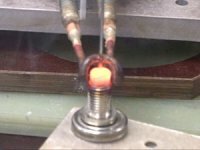 First, heat the assembly to the required brazing temperature. 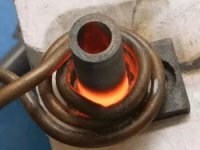 Second, spread the filler metal. 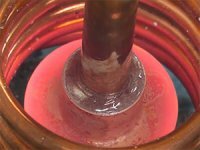 The heated assembly will melt down the filler metal and it will be drawn instantly throughout the entire joint area by capillary action. 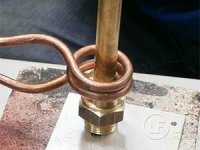 Add flux to the end of the filler metal rod to improve the flow. 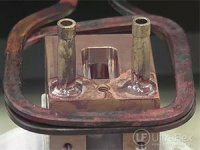 After you have brazed the assembly, the new joint should be cleaned by removing the flux residue and any oxide scale formed during brazing. 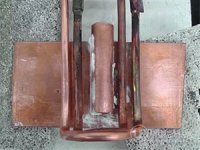 The flux can be removed with hot water a wire brush or a suitable acid after the filler metal has solidified completely. 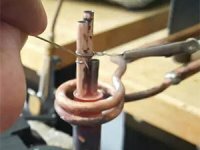 To get the best results, follow the directions given by the flux manufacturer!